I have found much cheaper websites offering expert valuations for just £7.50 per item, it seems that you charge much more than this? You will find that the valuations that many of these companies offer cannot be used for insurance purposes. Most insurance companies insist on valuables being valued by a reputable appraiser – they are especially particular about this when it comes to higher value items worth over £10k. I inspect everything first hand – nothing is inspected using photographs and third hand descriptions.  I am an approved HISCOX specialist valuer, so you can rest assured that your valuable item will be insurance proof. Have a look at the terms and conditions of the site before proceeding and check whether you are allowed to disclose your valuation to third parties. If the valuation has no value, remains the copyright of the appraiser and can only be for personal use, then what is the point in using them? What type of value/ estimate do they provide you with? Most of these valuers only give you the value of your item at auction prices. Although I can provide this, as one of the valuation options, we primarily provide a valuation that can be used for insurance, probate family division, legal and loan security purposes. Will they give you clear results – will they be accurate? I will give you detailed and accurate explanations of our results with our valuations report. I also use a highly accurate professional software package called GuildPro, used by only fully trained and approved appraisal specialists. Again, look at the terms and conditions of these sites – do they state that they take full or no responsibility for the accuracy of their valuation? I can confidently say that I do take responsibility for your valuation and that you can use it for the purposes of insurance, probate, family division and legal. Insurance companies insist in valuables being valued by a reputable valuer, however many people do not have their jewellery insured at the correct value – this is vital if you ever need to make a claim to your insurance company. To ensure that you obtain the most appropriate valuation report for your needs, please don’t hesitate to contact me. I understand that jewellery valuations can appear quite daunting, but I can guide you through the valuation document in order to help you better understand your requirements. Valuations should be undertaken by qualified specialists who adhere to the highest standards of the Institute of Registered Valuers. You can rest assured that all jewellery and silver valuations are carried out by a National Association of Jewellers Institute of Registered Valuer. What does some of your valuation terminology actually mean? A valuation for inheritance tax purposes as at the date of death. The term is becoming less commonly used and is the same as market value. This value reflects the average current new replacement cost of a similar article of equivalent quality. It does not, however, allow for recreating a handmade facsimile of the original. Most modern items will normally be expected to be described under this heading. This value reflects the current second-hand replacement cost of a similar article of equivalent quality and in like condition. This value should enable the owner to obtain a similar antique replacement article of equivalent quality and in like condition, and is normally ascribed to articles believed to be one hundred or more years old. This value reflects the likely current replacement costs of creating a facsimile of the original utilising the same quality materials and processes. It should be noted that this is a type of valuation rarely used and only in specific instances (for further explanation please discuss with the valuer). The vast majority of modern jewellery will, even if handmade, be adequately covered by the standard new replacement qualification. If you have any other questions not shown above, please don’t hesitate to contact me.